Anyway, we are delighted with it because it makes for a wonderful Valentine gift that side steps the cliches. 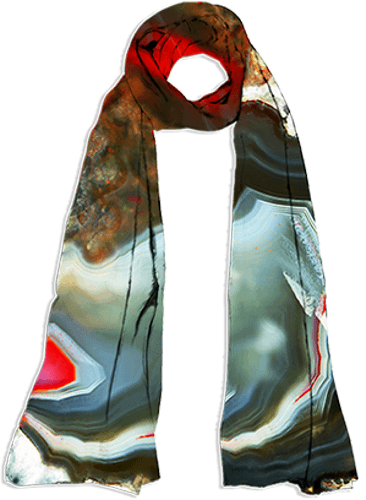 A scarf gorgeously appropriate for Valentine's Day - yet original and subtle enough to be worn on many occasions, especially as this more informal Oblong (198 x 68 cms). Last UK orders: midday on Wednesday 10 February. Delivery to UK addresses guaranteed by Friday 12 February.